Living Artz was founded in early 2006 by Neil McGarry to provide Digital Media services such as Web Design, 3D Modelling, Texturing, Design and Animation services. Having started out building Websites, the demand for our 3D Architecural and Product Visualisation services became our core work. We then completed a two year contract with Adeze (iBloks) San Francisco creating 3D interactive content and environments for their clients such as Fox (Die Hard 4 DVD Website), VirtualMTV, Microsoft, Grammy Radio, Dreyers Icecream, Media Machines (Vivaty) and MGM all delivered via the iBloks XAML/WPF proprietry real-time 3D player. After our experience with real-time 3D we added the ever popular Unity 3D Game engine to our set of software tools in 2008 to bring our 3D environments to life with worlds we could interact with and walk through via a computer. 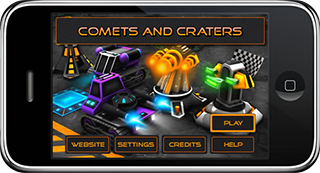 Pushing our skills further we embarked on developing some games for the Apple iPhone and iTouch portable devices in 2009 to gain our first experience working in the Games Industry. This experience led us to be approached to build the Jeenee interactive 3D Virtual Reality trainer Pilot. The Pilot proved successful and we soon expanded our team to begin work on Project Stage 1. This was folllowed up with an even larger scale Project Stage 2. These projects proved a rewarding experience with the trainer to be used to assist people recovering from brain injury or strokes, allowing them to relearn daily tasks and to experience varied modes of transport in a safe educational 3D Virtual World from their computer. Our projects have included, but not limited to creating 3D interactive ATM's, Banks (including Tellers to perform withdrawal and deposits, Coffee Shops, Ticket Vending machines, Train Station including elevators, ticket window operators, Supermarket, Corner Store with interactive 3D products, Cars, Trains, Buses, Characters and Architectural walk throughs to name a few. Although these were built from scratch, we also integrate 3D objects into existing real world photos, to allow the user or client to visualise their ideas before starting their project. This saves valuable time and money once their build project gets underway. 3D Training Simulations lend themselves perfectly for new employee induction training when commencing at a new work site. 3D Digital Education Learning enables teachers to provide students with the ability to exerience interactive scenarios in a safe environment with the ability to track results and reward success via achievements in a Virtual World. We also develop 3D customisable Art products via the use of Allegorithmic Substance PBR materials to speed up workflows for other Developers in the 3D and Games Industry.